Barney has gone to the dogs... the birds, the rabbits, the bugs, and the butterflies! BJ shows off his bug collection and learns that having a pet is a big responsibility. Meanwhile, after building a birdhouse for a lucky bird, Barney takes the children on a tour of the park to learn about other animals and their homes. 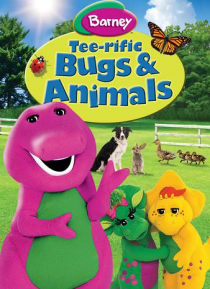 Have a stu-u-upendous time learning and singing about different types of bugs … and animals with Barney and friends!